I was diagnosed with beta thalassemia trait from a young age. I was told that it was asymptomatic. As a teenager I was always getting sick was told I was anemic but iron supplements made me feel worse. I am always tired, body aches, and I get numbness in my hands, dizzy spells, and heart palpitations. I have had a miscarriage and ectopic pregnancy. I also have neutropenia. I am a male in his mid-forties with beta thalassemia minor. For a period in my early twenties, when I was working too much, not eating or sleeping well, I had issues with migraines and blood pressure. That's not been a problem for a long time now, though my hemoglobin tends to run pretty low and as a martial-artist I just can't compete with the stamina that others have. Generally, not too bad really. I have beta thalassemia. I am tired. I have thyroid half removed, underactive, have spontaneous pneumothorax. I got hit by a truck and got hurt in my neck and brain, now my pain is all over my body joints. I have chest pains, anxiety, depression, and I can't breathe. All this is worse since the accident, I have headaches, pains in face, my hips lock, and every joint has excruciating pain. I am not sure if anyone in the family has it but my dad and his mum died of bone marrow cancer. I am now scared of that. I am 45. I haven't been officially diagnosed, but my oncologist said I probably have a mild case of thalassemia, about 2 years ago. I have had low iron my entire life; was never able to give blood. Apparently my red blood cells are on the low end of normal in their shape. Supplements help my hemoglobin go up a couple of points, but it does almost nothing for my ferritin levels which are always below the minimum (didn't find this out until my cancer diagnosis and saw an oncologist and he ordered an iron panel). The worst is when my cycle comes; always heavy in the past which I use to control with birth control pills but can't anymore. Now just one cycle sends my iron plummeting. I've started taking Motrin when it starts, to help with the blood loss. Long-term, iron infusions are the only thing that help me (Injectafer); they really work! I was told at the age of 21 that I had beta thalassemia however when I research it, I found out that none of my parents had it. So that got me to thinking. At birth in 1964 I received blood but was told that you had to get it from your parents. But back then they did not test blood the way that they do now. All I know as a child was I was always sick. Even now as an adult 53 I am always tired. Iron level is always low and I am taking B 12 and vitamins. Also my kids have the trait and my granddaughter has neutropenia. I am just trying to get some answers because nothing is working for either one of us. My son has beta thalassemia minor (trait) and now he has a sore throat. He was checked by a pediatrician and was given oral antibiotics. After 48 hours of the medication he started to get better but the fever still goes on and off though in a longer gap than when he was just starting the medicines. His fever is at day 5 already, though he says he feels better but still a little sick. I am just concerned and worried. I am a 62 year old female. At age 19, I learned I was beta thalassemia minor positive. 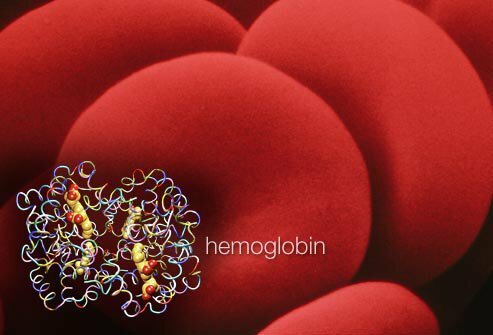 I had partial hysterectomy at age 42; when my dangerously low hemoglobin was 6.1. I have had ongoing gallbladder problems forever. Traditional Chinese medicine helps me with herbs daily and acupuncture weekly. I have amazing mental fortitude but as for physical stamina, I wish I had more. Once I tried time release iron supplements when a doctor diagnosed Cooley's anemia during a hospital admission for ruptured ovarian cysts. My 14-year-old daughter has been having health issues for the past two years. Her bloodwork often shows mild anemia, her coloring is often very pale and pasty, dark under the eyes, gall bladder removal in 2015, weight loss (17 lb since last May), fatigue, abdominal pain, and frequent bruising. Her whole life she has been kind of sickly (chronic bronchitis). My sister is a carrier of the beta thalassemia blood trait; I do not know if I am a carrier. We have been to clinic after clinic at the local children's hospital. She has had two EGDs and a colonoscopy and a thorough endocrine work-up, all to no avail. We finally got a referral to see a hematologist. I was diagnosed with thalassemia minor at 28 years old. I noted huge change when I turned 15; constantly feeling tired, dizzy spells, being overly thirsty, poor vision, sleep problems and joint pains. As for thalassemia minor being a defense against malaria, I am a bit critical. I got over 7 episodes of serious malaria with the final one over 18 years ago almost killed me. I was diagnosed with Mediterranean thalassemia about 16 years ago. I was always a sickly child. I had sore throats, ear infections, anemia and mononucleosis twice. Fair skin, with dark circles under my eyes. I was always tired and fatigued with no energy. My body wouldn't absorb iron or supplements, they just made me sick. As an adult, I often get flu like symptoms, am cold and achy a lot. I am always tired, always feel like I need to nap. I have had gallbladder removal and I have an enlarged liver that apparently looks like I drink alcohol a lot. Which I do not and never have with the exception of a few years when I was college age. I do have issues with altitudes and shortness of breath. My doctor had once said she was surprised I could walk up a flight of stairs, my red blood cells were so odd shaped. I'm also diabetic. I was receiving infusions every 6 weeks to 2 months apart. But, I really never felt better except for a few days. Just seemed to lose a lot of hair. I haven't pursued any treatments in the last few years out of frustration. When I moved and went to an oncologist, he said he couldn't say one way or another if I had it or that he agreed with my diagnosis. I was diagnosed with beta thalassemia minor. I had my gallbladder taken out when I was sixteen and have always had abdominal problems, joint pains and lightheadedness. Both by brother and I were diagnosed with beta thalassemia trait in high school from a basic blood panel. We both do not have any symptoms like many of you have described and are fairly healthy. I'm 35, pretty active, and in the military and do not suffer any fatigue. I was diagnosed only after my son was diagnosed with thalassemia minor and had always had doctors tell me I needed to take extra iron that made me feel worse. I had my gallbladder taken out at 19 which the doctor stated was the youngest he had ever heard of. I have had two miscarriages and never even thought of it having something to do with the thalassemia. I also used to have kidney infections all the time when I was younger. I do get cold a lot and people think I am crazy or making it up. I have had dizzy spells, anemia and balance problems all my life. I have also always had joint pain. I was diagnosed as having beta thalassemia minor in 2012. I just try to live with the dizzy spells. My doctors act like it's no big deal, but it's a big deal to me! The older I get the harder it is for me to maintain. I have just recently found out that I have thalassemia minor (about a month ago). My entire life, I have always been very tired. Even as a child, I often did not have the energy to play outside with other children or engage in a sport for long-term. My mother always took me to the doctor about this, and we were always told that I had anemia (so I was given iron supplements). The supplements never entirely helped, so I just learned to accepted that I would always be tired my entire life. Recently, however, when I turned 31, I noticed pain in my upper right abdomen, along with kidney pain. I went to a doctor about this, and he tested me for a variety of things, and that"s how I found out about thalassemia. It constantly feels like my gallbladder is in pain, and my kidneys as well. I feel even less energetic than I usually do, and I get cold very easily (this has always been an issue for me). Whenever I get sick, it does take me a bit longer to recover from that as well. I am a 40 year old woman and have thalassemia minor and out of 4 of my children 3 of them have it also. My son who is 19, gets breathless easily as do I and drinking alcohol, hangover is worse for us. We both have stomach problems doctors say it is fine but try living with it! It's scary sometimes and you can't breathe doing small simple tasks. We take folic acid 5mg a day. I just wish there is more information on it and what to expect when we are older as I'm hearing some scary information and don't know if that could be me one day… a good blood doctor needs to examine me. I was diagnosed with beta thalassemia minor at birth in 1964; my father also was diagnosed with beta thalassemia at birth in 1942. Both of my grandparents had beta thalassemia, and my grandmother gave birth to four children. One died in his first year of life of thalassemia -- he was a major. I have noticed throughout my life that I am always tired, often fatigued, and that once I get sick with a cold or flu or anything really, it takes me twice as long as most people to get well. I had a lot of trouble with my bladder and kidneys when I was in my 30s and have had stomach problems for as long as I can remember. I am not sure if any of these issues are connected to thalassemia or not. My wife got diagnosed with thalassemia minor 15 years ago when she was first pregnant. Her gallbladder was removed 10 years ago. We have two kids, both playful. My son goes a little breathless while playing but manageable, however did not get him tested yet. Of late my wife started showing weakness symptoms. We added 1 bowl of green leafy vegetables (spinach or compendium or mustard greens etc.) well cooked in Indian style, once a week in our diet. It helped a lot in overcoming the weakness. No additional supplements so far. I was diagnosed with beta thalassemia as a child. Now in my sixties I am not able to tolerate high altitudes. Even 5400 ft. elevations cause me to have severe breathing problems and increased urination. I have thalassemia minor and I'm a 53 year old male. I never have been tired or show any symptoms at all. I'm an overweight male who eats garlic and fatty food and cheese with a cholesterol of 134 and extremely clear arteries and no plaque after a recent cardiac cauterization. But my spleen has been just checked and is enlarged causing a low platelet count. I am going for tests on that now to determine the cause. I have thalassemia minor. I am not sure of the type. I"m not supposed to have symptoms but have had jaundice in my hands and in the sclera of my eyes. I also have had blood work preoperatively that showed sickling, causing cancellation of surgery. My current blood picture is one in keeping with thalassemia. Makes me wonder! My daughter in law was diagnosed with beta thalassemia. I am concerned about her health as well as that of my grandson. She gets fatigued easily and has been sick for a couple of weeks without getting better. Her doctor told her there was nothing that could be done for her condition. I have been diagnosed since 1999 with beta thalessemia. I have always been tired and doctors told me my iron levels were severely low. I had two children and had to take shots in order for it not to be transferred to them. But, neither of my parents have this trait nor does anyone in my family. I have under gone gall bladder removal, and now I suffer from severe intestinal problems. I cannot use the bathroom at all, my stomach irritates easily, my thyroid is now not working at all. I have no idea of what to do, I am 29 years old and I act like I am 60 years old. I cannot run and play with my children eat sleep or anything. No doctor can give me a real answer or treatment for this. I was diagnosed with beta thalassemia minor at age 3 (inherited from my father). I was very sick as a young child, but as a teen and young adult I had very few symptoms (I get winded very easily and can't hold my breath for long under water). I am 41 and over the past few years I have had issues with fatigue, general weakness, and easily getting sick, along with cholecystectomy (gall bladder) and oophorectomy (ovary) surgeries - all of which no doctor has ever directly attributed to my thalassemia. A big concern for any thalassemia patient is to find a doctor that is knowledgeable about the anemia and is attentive to the specific needs of these patients. I have met very few doctors that even know the term, so make sure to ask! Overall, I am pretty healthy - I just have to be wise to the potential problems. I hope this helps somebody else! This is not some trifling disease. This is deadly serious stuff. I was diagnosed with Thalassemia minor in 1966. Other than getting tired occasionally, it never really bothered me until 19 months ago when I experienced excruciating pain in my groin area. After 9 doctors, I was finally diagnosed with Avascular Anemia which has destroyed my two hip joints resulting directly from Thalassemia minor. I had never heard of this until now and apparently, neither has the medical profession. I just had one hip replaced and the other will be done next year. My son has also tested positive for Beta Thalassemia. I needed 6 packed red blood cell transfusions to get through the operation due to extremely low blood counts. As far as I understand it, there is no medical treatment for Thalassemia minor but my son and I are going to pursue all possibilities so that when he hits my age, he won't suffer the same disaster. This is great information to have, my husband was diagnosed with beta thalassemia over 25 years ago and the doctors did not offer too much information about it. I was diagnosed with a mutative type of beta thalassemia. I required many blood transfusions as a child. I also have low iron so chelation therapy was not needed. In my early teens the need for the transfusions stopped as my red cell levels became normal and was re-diagnosed as having beta thalassemia minor. A few years later, after needing a transfusion I was re-diagnosed as thalassemia major. That diagnosis was changed to thalassemia intermedia. My parents were told I had a rare mutative self-remissive beta thalassemia. (Meaning I could have no symptoms at all to being in need of life saving blood. Most doctors aren't familiar with it and those that are dispute the diagnosis because it doesn't fit the 'standard' of what beta thalassemia should mean. I'm 20 years old and I've beta thalassemia intermediate and it was diagnosed in 1999. But since then I never needed blood transfusions but form last 2 years I have to do blood transfusion every month. I am unable to do most work. I was diagnosed with beta thalassemia a year ago, and I have found that where my friends could take a matter of hours to burn off alcohol, however for me it feels like days. I was just diagnosed today that I have beta thalassemia, a minor version of it. I had a hip replaced last year and could not give my own blood for my surgery. I was not told about this disease until a few weeks ago, and then tested with the results now. I feel great and have energy, but I have not gone back to work as of yet. In two weeks I will return to work- hopefully I won't have any bad symptoms. Hope there will be a cure someday. I was diagnosed recently with Beta Thalassemia Minor. Although I keep reading that I should be asymptomatic, I have always been unable to do anything aerobic. If I tried to hike or run, I would quickly get short of breath--even when I was young and healthy and working out every day. My result of testing: negative for typical beta thalassemia minor. I have been diagnosed with having Thalassemia Minor since birth. In 2009 I undergone Liver Treatment with Chronic Hepatitis C. I was placed on the Peginterferon and Ribaviron medication. After 5 months I was very very weak. I was told by the nurse practitioner working with me ( Never once did I see or hear from the Doctor) to drive to Denver (almost 300 miles away) to speak to a Hepatologist. My daughter came with me. The Hepatlogist told me to immediately get off the treatment because it was killing off too many red blood cells. I also have nerve damage that has left me to suffer with a horrible itch. I have a new Gastroenterologist now and am scheduled to have a colonoscopy done and blood test. Thankfully, he IS upfront and honest and SPEAKS to me.